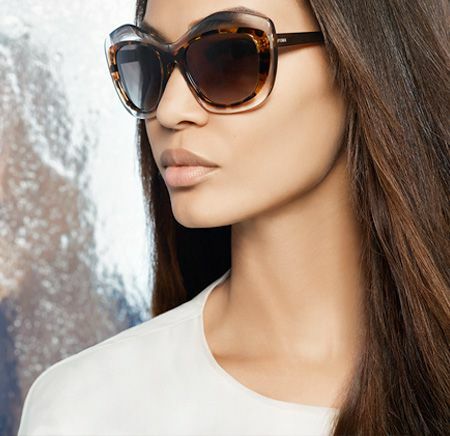 Fendi, the Italian, luxury fashion house, well known for handcrafted, high-quality leather goods, maintains its name for elegance and avant-garde design with Fendi Eyewear. Characterized by sophisticated and unexpected designs, unusual combinations of materials and treatments, and creativity in both form and character, the Fendi Eyewear collection is fashionable and timeless. Known for its use of color and unique color contrasts, Fendi uses these elements to enrich and enhance the features of the frames. As with all of their high-end luxury products, Fendi adheres to its meticulous attention to quality and a refined sense of style. First launched in 1925 by Edoardo and Adele Fendi, the brand which began as a small fur and leather shop in Via del Plebiscito, Rome, has now become a multinational luxury goods brand revered by the upper echelons of fashion and fame. Fendi’s success is based on values which include a passion for design, boundless creativity, excellence, quality and a passion for craftsmanship.